Gathering around the table with family and friends on this very special holiday doesn’t have to be a diet-buster. 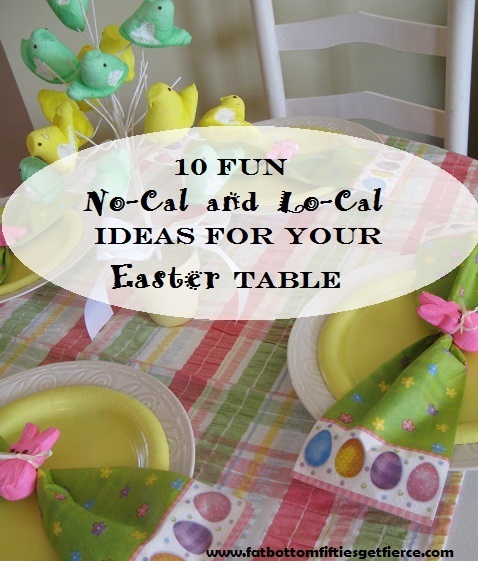 Here are 10 No-Cal and Lo-Cal ideas for you to indulge in at your Easter table. 1. 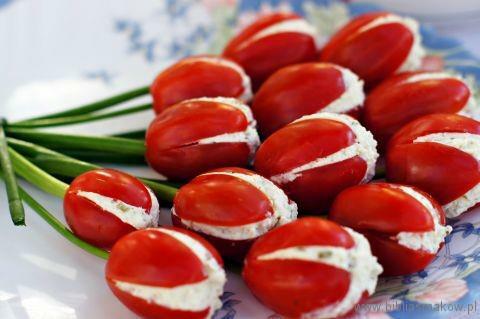 Tomato Tulip Appetizers. Use 13 large cherry or small Roma tomatoes. You can stuff with any variety of soft cheese as well as egg, chicken or tuna salad. The stems are green onions. The original recipe, found on the Polish blog Biblia Smakow, used farmers or cottage cheese, a chopped cucumber, 1/2 teaspoon of dried basil, salt and pepper for the filling. 2. 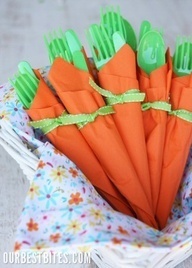 Easter Carrot Pots. 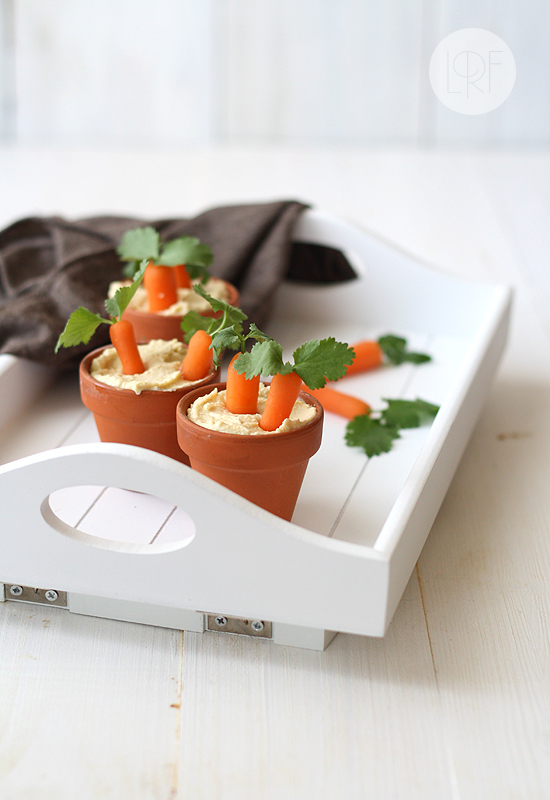 Carrots ‘planted’ in hummus is a delightful way to eat your veggies! The recipe for the hummus is here, but already-prepared hummus will work just fine, too. 3. Carrots in the carrot. Using carrot chips, this carrot can simply be planted on the table without the pots. 4. 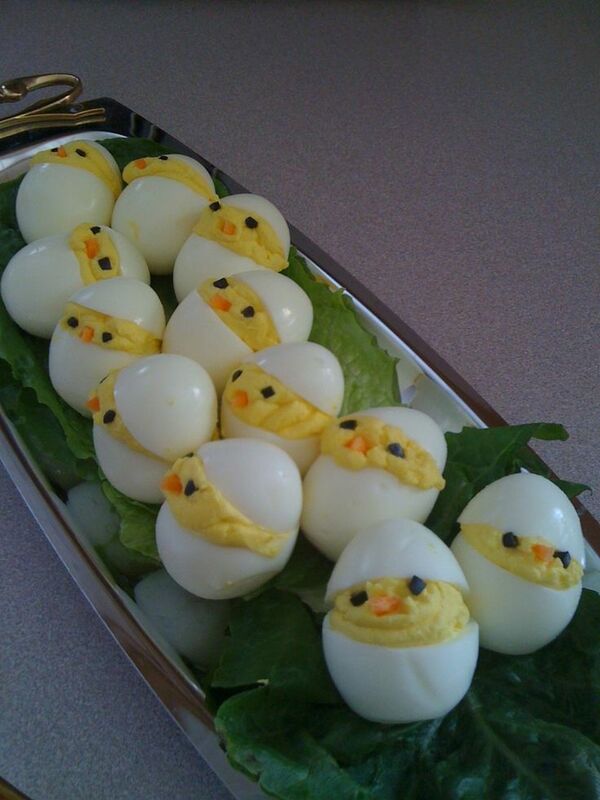 Deviled Egg Chicks. Click here for recipe and instructions. 5. 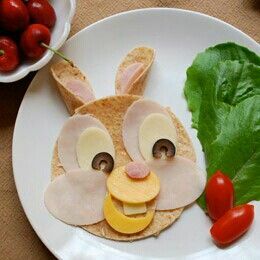 Bunny Face Plate. This one’s for the kids. The calorie count is zero when you’re not eating it yourself! 6. Peeps Centerpiece. Who would’ve thought candy could be no-cal?? 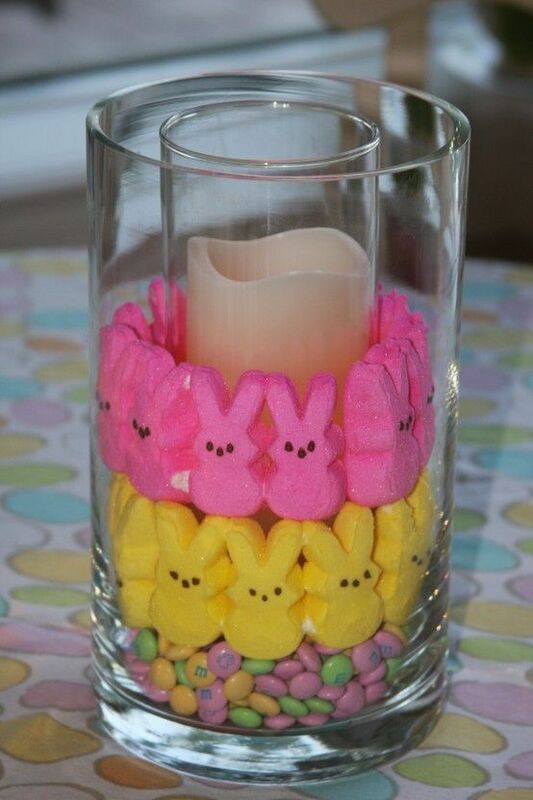 Use pastel M&Ms as base, put smaller glass or candle holder in middle, and slide in bunny peeps. 7. Egg Tapping Contest. Interesting dinner conversation is calorie free! 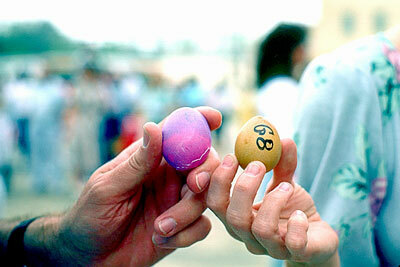 How about suggesting an egg tapping contest to use up the colored eggs? Also known as egg-knocking. If, like me, you are hearing this for the first time, you can check out the very simple rules here. 8. Bunny folded napkins. So cute you won’t want to open them up to use! Click on picture for folding instructions. 9. Carrot Napkin. 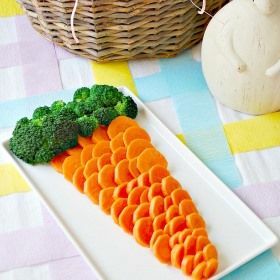 If your crowd is too big to make bunny napkins for, this simpler option from ourbestbites.com might be a better fit. 10. For Your Favorite Peeps. Are these Peeps versatile or what? Make this table favor by printing the saying on card stock, folding over a snack-bag containing four Peeps, and staple. About 100 calories if you eat them yourself. 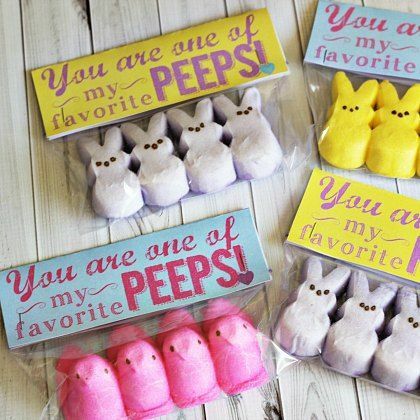 Calorie-free if you give them away – to your favorite Peeps!